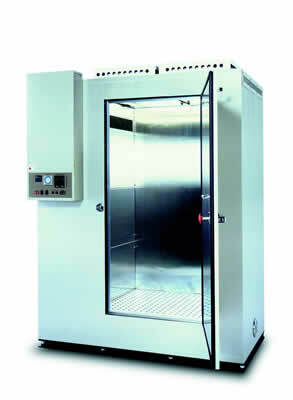 ● TGL is small growth chamber which is assembled with insulate panel on 1m2 of floor space. ● Three wavelength of twin fluorescent lamp is installed as standard light source. ● It is preparable that single type and two models which are 30,000 and 50,000 lux of light intensity. ● It is preparable that cultivation shelves and etc. as optional. ※There is another type which can control CO2 concentration and not control humidity.